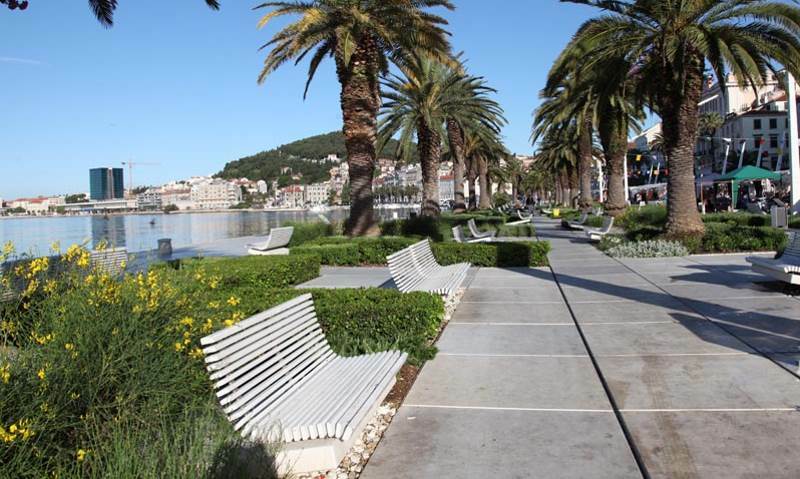 Trogir is among the most beautiful cities in Croatia, and the city is very rich in history. It belongs administratively to the Split-Dalmatia County. The town of Trogir has written its history since ancient times when Greek colonists from the island of Vis in III. st. Christ settled this area. It is one of the best preserved Romanesque-Gothic towns and is certainly nice to see. 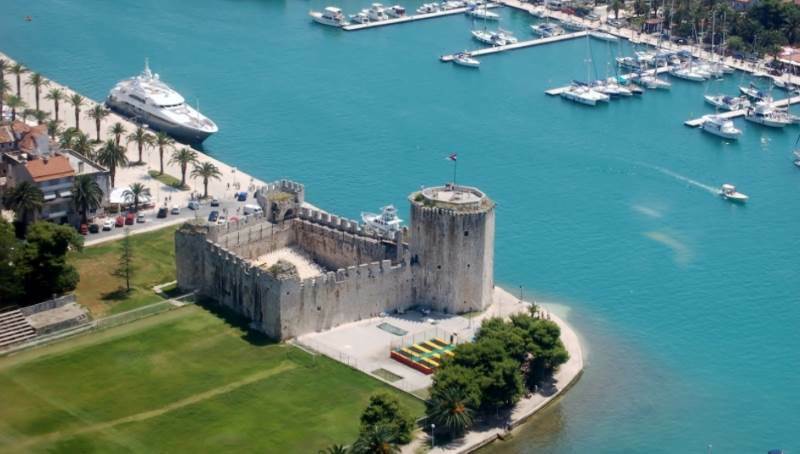 The castle and tower surrounded by walls form the core of Trogir. The Kamerlengo Tower was built in the 15th century and Marin Radoj is responsible for its construction. It was once a military fortress, and today it was redecorated into the stage for summer concerts and performances. From the top is a breathtaking view of the romantic atmosphere of the past. He was glad to be visited and everyone liked to come to see the old walls of the tower. With its position and shape, the tower proudly poses with its silhouette giving Trogir a unique look. Kamerlengo is located on the southwestern edge of the town of Trogir, at the very corner of the wall. The oldest part is a polygonal tower from the end of the 14th century, and the walls are given today form after the Venetian rule. The construction engineer was consulted by state engineer Lorenzo Picino, and the performance was entrusted to prototype engineer Marin Radoj. The fort was built from 1420 to 1437 and used to accommodate the Venetian military crews. Trogir Cathedral is one of the most famous Trogir monuments and is listed on UNESCO's list of protected world heritage sites. On this building are visible styles from romanes to baroque, and in it are valuable works of art. Of course, we are thinking of St. Patrick's Cathedral. Lawrence. The construction of the cathedral began in 1213 on the foundations of an early Christian cathedral destroyed by the Saracens in 1123. Just like the previous one, this cathedral is dedicated to St. Lovri, but it is also known as the Cathedral of St. Ivana (patron of the city, who died in 1111), a bishop who was known for his immaculate life and resistance to King Koloman, who occupied Dalmatia and Croatia. 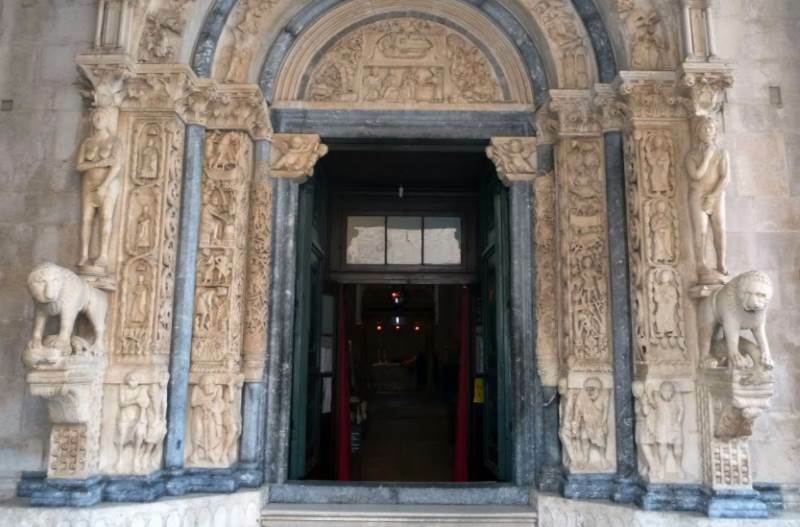 Radovan's portal - If you come to Trogir, love to look at and look for historical values - Radovan's portal is a building you have to visit. It's a stunning construction that catches attention in all possible ways. 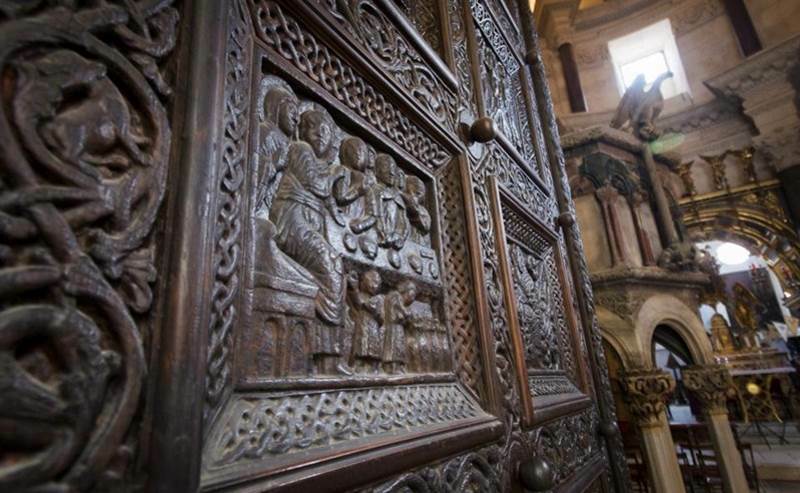 This is the main portal of the cathedral of St. Lovre in Trogir, known as Radovan's portal. It was built during the period of the rule of Prince Koloman, who as the younger brother of King Bela IV managed Croatia, Slavonia and Dalmatia. 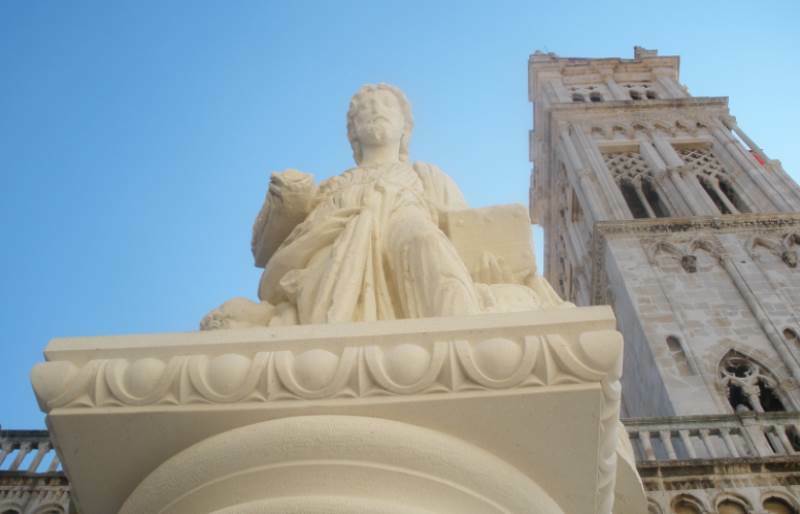 Koloman was an extremely important Croatian ruler who encouraged the construction of the Trogir cathedral, and with his merit, numerous monuments were erected at the same time in the north of Croatia. Today, many enjoy just looking at this imposing building, and you can get the full experience when you get to know her even better. Let's go then in that direction, by getting to know the interesting details of this facility. 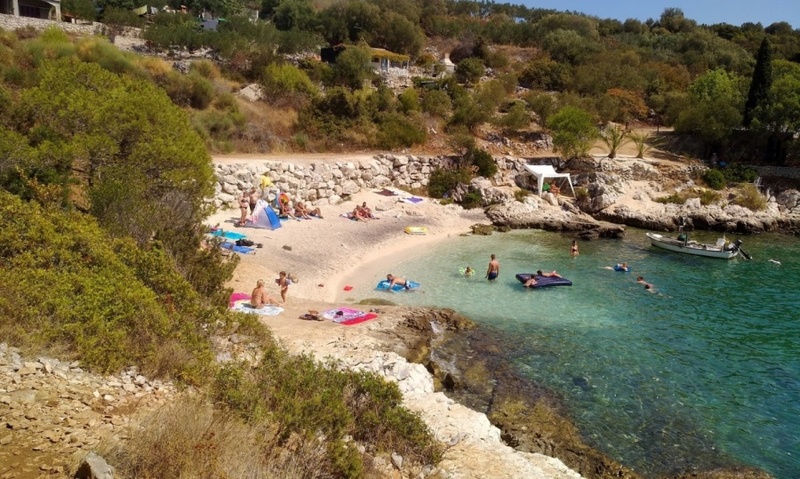 Beach Kava Slatine Ciovo - One of the most beautiful beaches on the island of Ciovo is certainly the beach of Kava. It is located at the far end, in the east and overlooks the city of Split. The beach is in an uninhabited part, separated and completely surrounded by natural beauties. Beside the beach there is only one bar to accommodate bathers who need a refreshing drink. The color contrast on the beach is something really enchanting. The beaches that protect the beach are partially covered with greenery and the color of the color combined with the gravel gives a complete visual spectacle. Slatine beach - In the village of Slatine on the island of Ciovo lies the same name, the main local beach. It is beautifully decorated, very well equipped and of course - popular among tourists. The beach is pebble, with a nice access to the sea and is suitable for all ages. There is a small harbor nearby, but the boat will not bother the beach guests. The beach is located in the center of this place, meaning that food and drink are available to everyone. Near the beach there are cafes and restaurants. Tatinje Beach Ciovo - Just take a look at this secluded little beach. The Tatinje beach is located in a natural setting, in a small bay protected by rocks, while the pebble in the middle. The entrance to the sea is light and the sea bottom is made of the same gravel as the beach itself. The water is clean, with beautiful tones of blue-green shades. Above the beach, the crowns with green needles make you shade. If the sun is too hot you have where to take it. Although the beach is separated, there are a few private accommodations nearby. Old Porat Čiovo is one of the most famous beaches in Čiovo. It is located in Okrug Donji, near the local small port. The pebble bottom in the seabed gives vivid colors, as you can see in the photographs. The beach itself is pebble, beautifully decorated with natural shade. The horn is made of pine branches, which also give a special scent in the air. Beside the beach there are local cafes, and bars, where you can sit and enjoy the view. A little further, boats are often seen on the horizon that complete the complete picture. If you want to take pictures of holidays, here you have a lot of choices for a beautiful background. 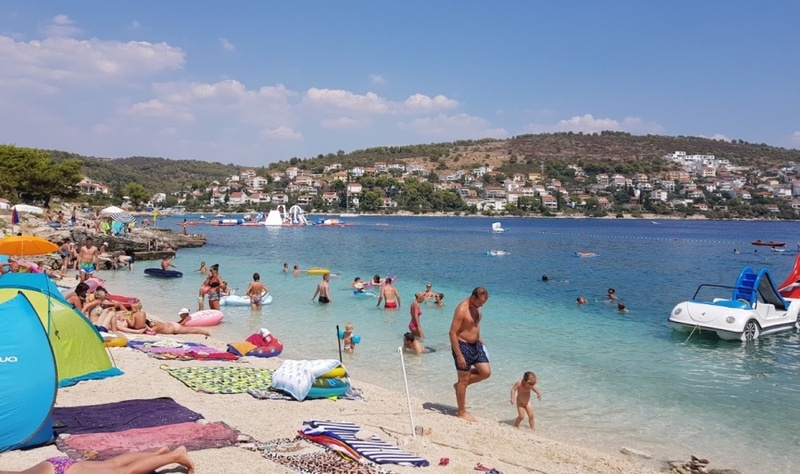 The Labaduša Beach in Čiovo is very popular and popular with many. It is located in the Okrug Gornji settlement, next to the same autocamp and is equipped with all the necessary contents. In addition to the campsite, the beach is surrounded by cafes and bars and a restaurant with various meals. The offer is superb as well as the ambiance and beauty of the beach will best illustrate the photos we support you. For added mood we will also put this short video on which you can see the dynamics of the beach, the gathering of guests and the enjoyment of the sun. Bočići Beach is one of the largest, very popular beaches on the island of Ciovo, near the Mavarštica beach. The beach is, if we look at the terrain, of different composition, so it can find places for everyone. It is partly rocky, with some concreted sunbathing plains and easier access to the sea. In a few places, little pebble bays have been hidden between the natural rocks. They are great for swimming, as well as sunbathing in a smaller crowd. Diocletian's Palace If we mention Split in any context of history, culture or even today's appearance of this city - we can all agree that our thoughts will dominate Diocletian's palace. Diocletian's Palace is an ancient palace of Diocletian's Emperor in Split. 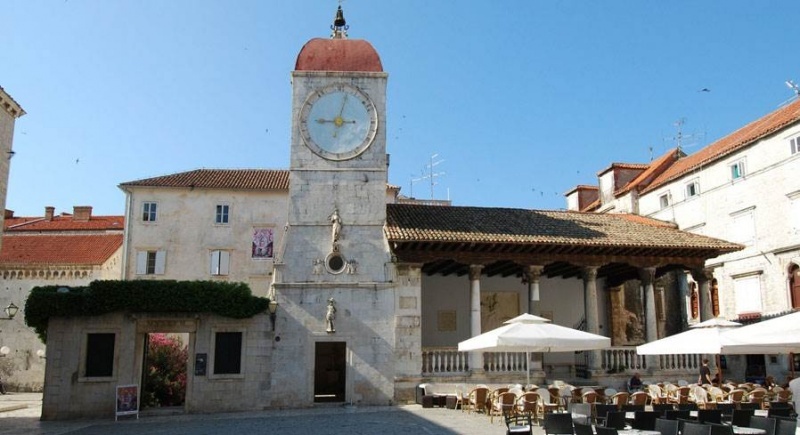 It was built around 300 years during the rule of the Roman Emperor Diocletian. Diocletian stayed in the palace after retirement from the throne (305) until his death (316). Cathedral of St. Duje Split - One of the most important sights of Split is certainly the cathedral of St. Duje. They say this is the oldest cathedral in the world, so we'll try to describe it as well as possible. Splitska Cathedral is dedicated to the Assumption of the Blessed Virgin Mary. It is known in the people as the cathedral of St. Dujma and Sv. Duje. The Split Cathedral is located in the Diocletian's Palace complex, Peristyle, and was originally Imperial mausoleum. The first building was built at the beginning of the 4th century, to be renovated later in the cathedral. It is believed that this Cathedral is the oldest cathedral in the world. 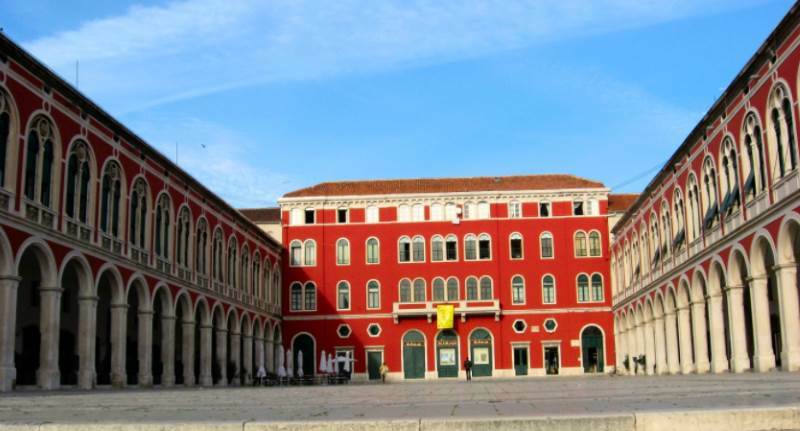 Prokurative, or officially the Republic Square, is a prestigious Mediterranean square in the center of Split. It is located west of Diocletian's Palace and is known as the stage for cultural events in the town of Marjan. 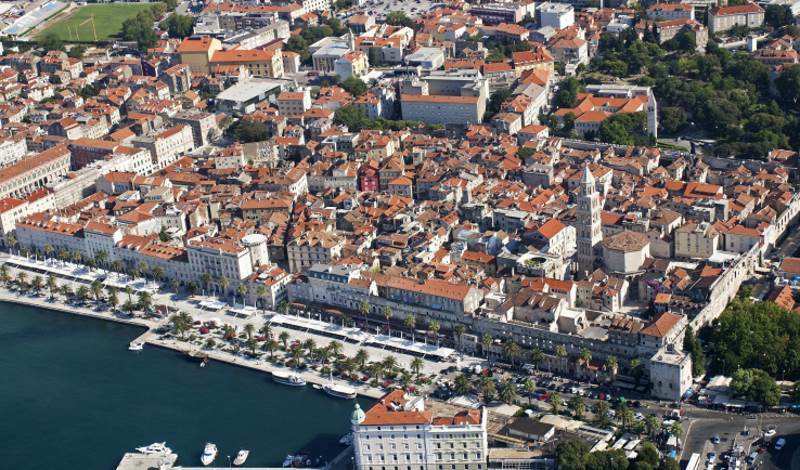 This is where the traditional Split Entertainment Festival is held for almost fifty years. Splitska riva has taken its present form in the early 19th century. During this period, the French ruled the French, and we can attribute most of the merit to her appearance, which is simply enchanting. Hundreds of years later, autochthonous plant species were replaced by palm trees, and a new big change comes before the end of the 20th century, when Riva is finally closed for traffic. 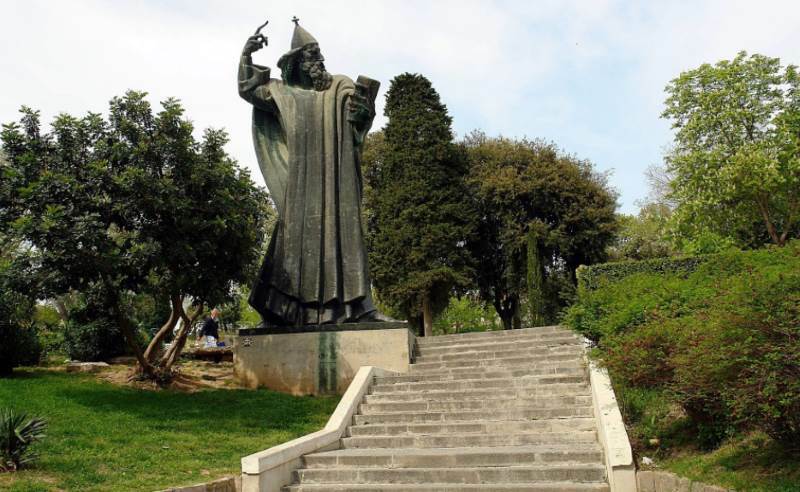 The Statue of Gregory of Nin - One statue is located in Varaždin, Nin and Split, where the most famous one is in Split. The statue of Split was set on 29 September 1929 at Peristil. Split got its version of Gregory of Nin despite the great disapproval of a part of Splinic. Among them was the famous conserver and archaeologist Fr Frane Bulic. However, in 1954 the monument was moved to today's location - between the Golden Gate and the Dardan. Omiš - Situated at the mouth of the river Cetina, only 21 kilometers south of Split, which is 25 kilometers away. 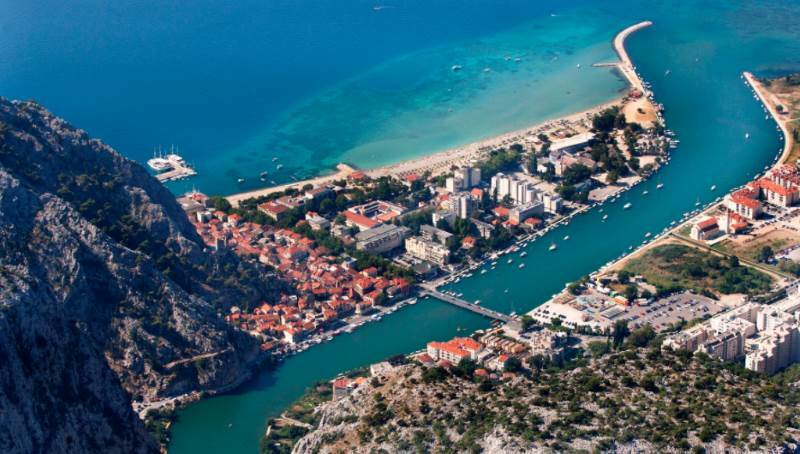 Omiš is a city with a special, very favorable position, which has enabled him to defend himself from attack during the history of the city, and today he offers a lot for tourism and the development of the city in general. 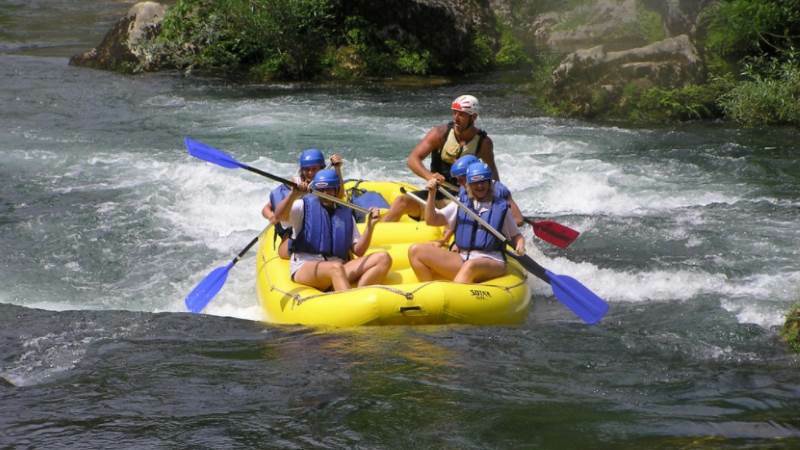 Rafting Omiš - The most popular activity in Omiš, because of which Croatia visits it and the world is rafting in the mouth of Cetina. Going down the canyon stretches over 2 miles down Cetina and offers an unforgettable feeling with a special adrenaline experience. If you are in Omiš, you certainly have to afford this experience. Sibenik Cathedral, (only 15 Kilometers away from Vodice) This building is interesting and striking, both in Croatia and in the world. Many dive into this facility, looking at it with the eyes of experts or a visitor who loves history and old building. The Cathedral in Sibenik is certainly the most important architectural achievement from the 15th to the 16th century on the Croatian soil. It is special for many things, and today it is a symbol of this city. Due to its exceptional values, the Cathedral of Sibenik was listed on UNESCO World Heritage List in 2000. The Cathedral was built on the south side of the central old town square, on the site of the Romanesque church of St. James. Construction did not end soon, even more - it lasted for over 100 years. The idea of ​​building a large cathedral church dates back to 1298. In that period, Sibenik got its own bishopric and the title of the city. In this way, the need for the cathedral came in a natural sequence that took place in most other cities. Dalmatian ethno village is a unique attraction of Croatian tourist offer. This decorated space, with all its backyard facilities, is at the heart of the Solaris Beach Resource, which we have already written about. 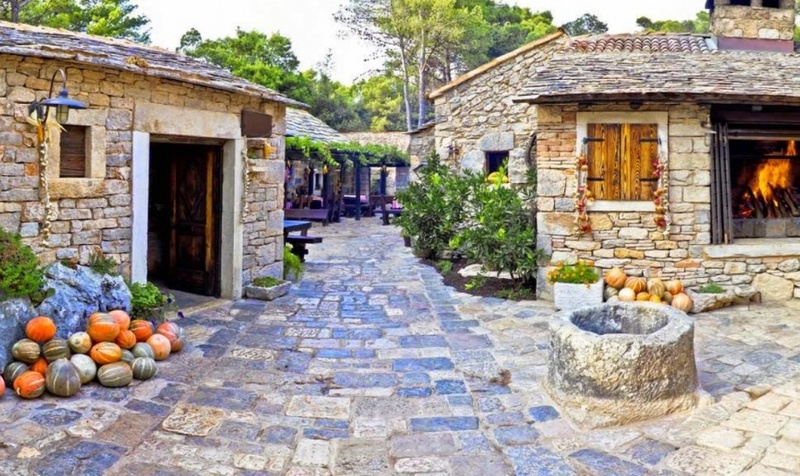 Its stone paved courtyards and stone houses reveal a whole new world. In fact, they reveal the world of past times, today almost forgotten. This is an opportunity to remind yourself of some things from the time since the beginning of a hundred years. The door to Dalmatian ethno village is open to everyone. 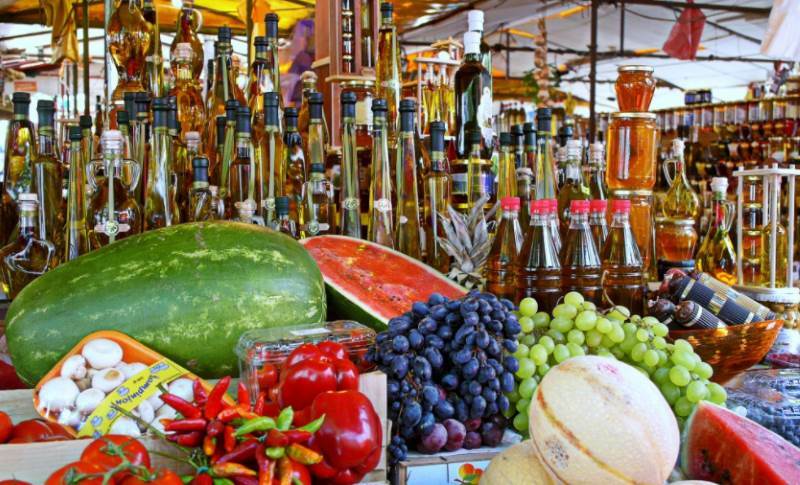 Particular attention will be given to people who love and respect the quality of the offer, while at the same time value deeply rooted Dalmatian tradition. Krka National Park, famous for its magnificent waterfalls, is located near Skradin in the Šibenik-Knin County. The second most visited national park in Croatia offers tourists numerous values, from highly preserved nature and beautiful landscapes to cultural sights and active holidays. If you are a nature lover or want to explore the culture of the local population, NP Krka is an ideal destination for you. One of the most important things people often forget to mention is the beautiful Skradin town with which almost every trip to NP Krka begins. With less than 500 inhabitants, Skradin offers a history and cultural heritage that could attract many bigger cities. Nature Park Biokovo is a beautiful mountain massif special for its karst peaks, unforgettable gazebo, biodiversity and a botanical garden. 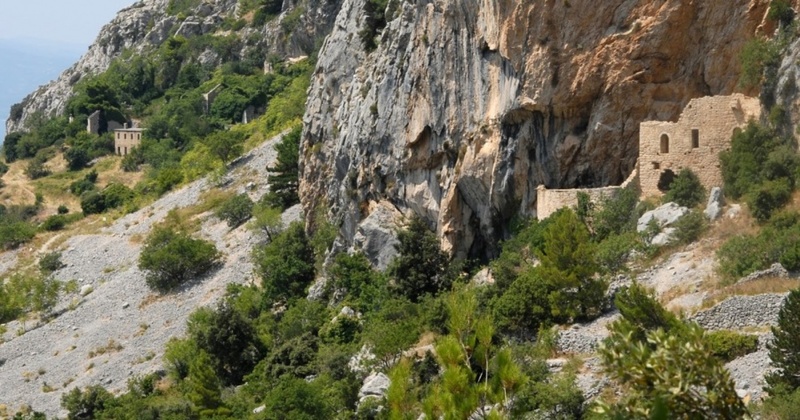 Biokovo was declared a park of nature in 1981, and part of the mountain range of the Dinarides. It is characterized by steep and high peaks, which fall slightly down to the beautiful Adriatic Sea and local settlements, most notably the city of Makarska. The National Park Mljet was proclaimed on November 11, 1960, and its surface covers the northwestern part of the island of Mljet and the surrounding part of the sea. NP Mljet represents the first institutionalized attempt to protect the original ecosystem in the Adriatic. Park with its surface covers the western third of the island of Mljet. The boundaries of the park come from the area of Black Rock to the deepest point of the island, Cape Goli. There are some settlements in the national park: Polače (the main tourist and tourist port), Goveđari (the oldest settlement in Jezera), Soline (a small place at the entrance to Veliko jezero) and Pristina (post office and national park) Pomena (the only hotel on the island). Kornati National Park was proclaimed in 1980 when it was protected. The total surface of this park is about 220 square kilometers and is made up of larger and smaller islands, and rocks emerging from the blue sea of ​​the Adriatic Sea. 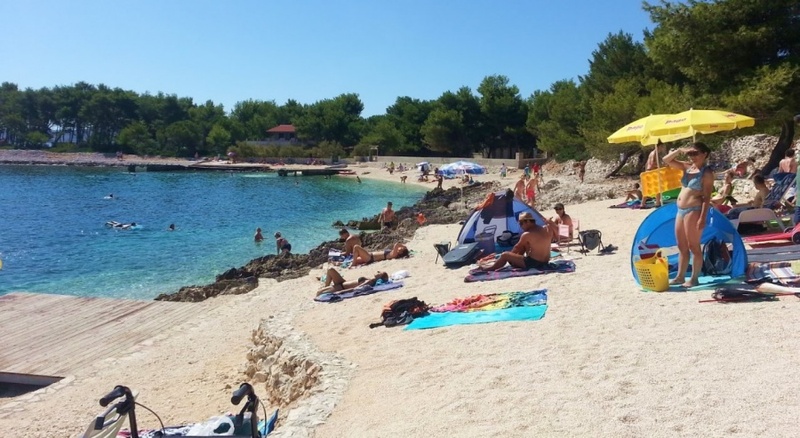 Of the total area of ​​Kornati, only ¼ of the mainland is occupied. The rest of the National Park is the sea and the living world that lives there. 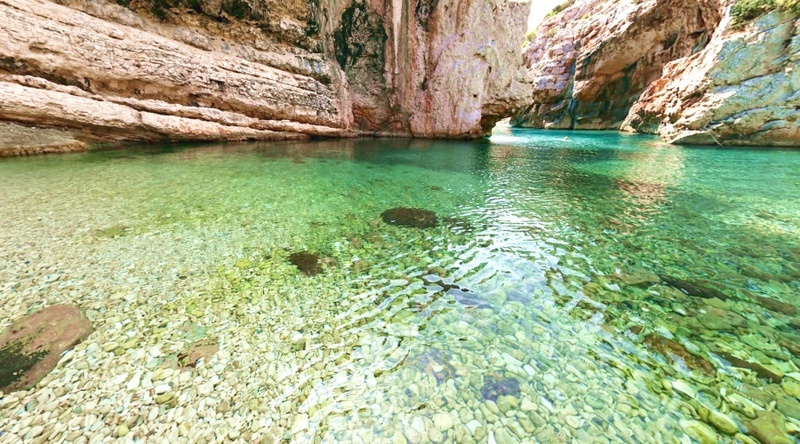 Although at first sight Kornati is a desert and very isolated place, this park abounds in natural and cultural riches. Also, the animal and plant world are still a specialty of the park. It has natural and cultural features. Particularly distinguished are the vertical cliffs, facing the open sea, the so-called crown. They are a kind of phenomenon of Kornati, and habitat are rare species of plants and animals. Beauties are most distinguished by the natural diversity and the mighty silhouette of this island. The cultural heritage will only add to the beauty of the Kornati, and give one special offer for those who want to visit the National Park. Kornati maps can be purchased at numerous tourist agencies in Vodice. Beach Bačvice Split - If he heard about Split, he also heard about Bacvice. Worth and vice versa. Bačvice is the main town beach, and the most famous beach in Split. If you used to be at Bacvice, you've heard or maybe even played picigin. In addition to being a popular tourist gathering spot, local people are often visited by local guys, so girls play the most popular game in Split - after football, of course. Baffles, due to special shallows, are suitable for this game, and by that they have become planetary popular. Even out of the season, in shallow water almost every day you can see the lovers of picigin, how they leap, catching a small ball. Beach Kašjuni Split - The Marjan Forest has another beautiful beach in Split. 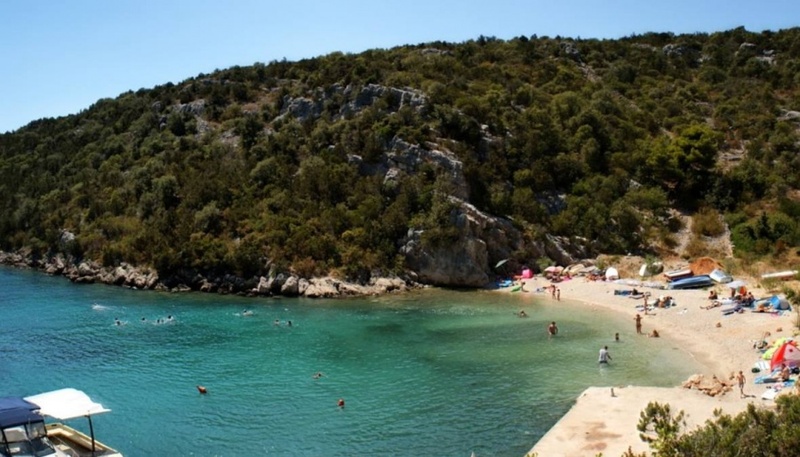 The Kašjuni Beach is located in the bay of the same name, on the southern part of the Marjan coast. It's very popular, and of course filled. You can reach the beach by car, park it nearby and continue on pure white pebbles. One part is constantly in the sun, with arranged loungers while the other end is hidden in the green pine forest. The beach is fully equipped and is suitable for all types of guests. Zlatni rat Beach Bol Brač - This beach is certainly the most famous on the whole island, and one of the best known in Croatia. The Zlatni Rat beach is special for its figure, especially if it is viewed from the air. It is a trademark of Croatian tourism and is the main detail of many brochures or greeting cards. It's popular, of course, and very well equipped. The beach has everything it needs to have. There are changing cabins, showers, and escorts for emergency rescue workers who take care of the safety of the swimmer. Stiniva Vis Beach Vis Island is perhaps the most impressive beach in Stiniva Bay. It is very popular, especially because of its appearance and rocks surrounding this beach. It is little to say that the rocks are inaccessible. When you look at the photos you will understand what we mean. Still, there are people on the Stiniva beach who enjoy climbing on these high and steep cliffs. Adrenaline is a sport for the few who are well trained and courageous to do something like that. 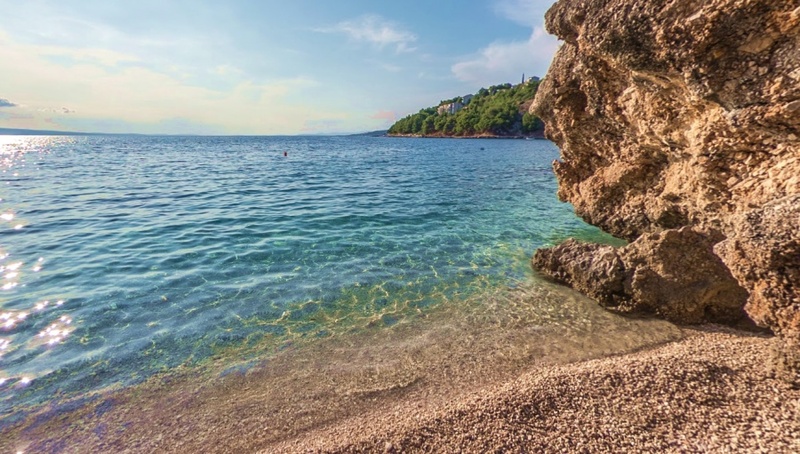 Vinišće Beach - The sheltered cove can boast a small but enchanting pebble beach with a concrete plate on one side and rocks on the other. The beach is located in a natural setting, with minimal traces of human construction. The natural landscape gives it a real look, especially if we look from the nearby apartments to the other side of the bay. Lučišća bay beach Hvar is a beautiful cove located about two kilometers north of Sveta Nedjelja on the island of Hvar. The beach is very small and can not be received by a large number of people, but fortunately it is very difficult to reach, mostly not being flooded. 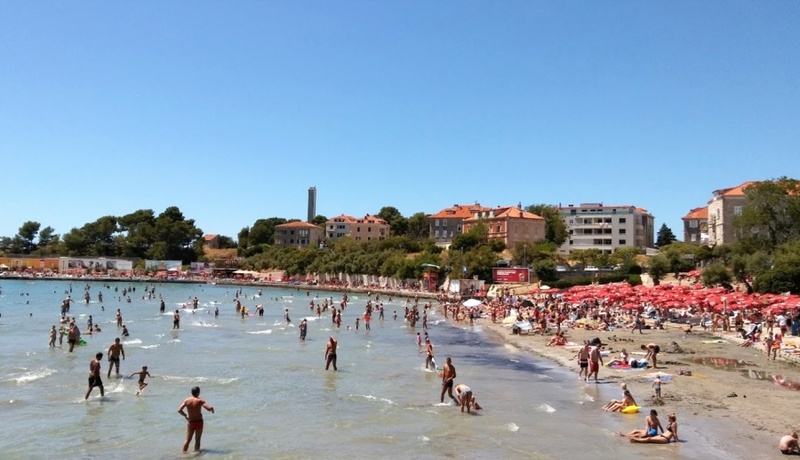 It is necessary to walk to the beach from Sveti Nedjelje. The town beach Primosten is located in the seaside bay, it is very spacious and well decorated. 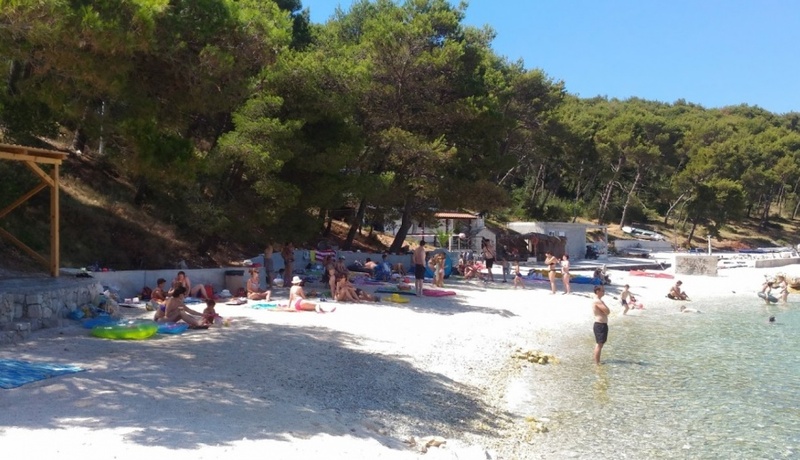 On the beach in Primošten you have showers, changing cabins and, during the season, a rescuer who is carefully monitored for the safety of the guests. Gravel is this beach, long enough to receive all the guests, and again to have places for new ones. Beside the beach there are private accommodation, hotels and shops. All you need is nearby. Close to the beach is Velika Rudača.